Conservation Plants | Conservation Plants is a place for old and new information on developing, using, selling and enjoying all conservation plants. T-4464 buffel grass has fallen from grace, discontinued as a cultivar,[iv] but James Smith knew success when he saw it. [v] While the glimmer of a named, superior performing, widely adapted cultivar shines a little less than did the early ones, Smith’s feeling of accomplishment must be appreciated. They had been told, and had every reason to believe, that the Great Plains soil landing in the Atlantic Ocean was the resource that must be saved. T-4464 is still doing that, but once the soil was safe, the priority seemed to shift to saving the native flora, which had failed when the land resource fell in the path of human use. [i] Dust Bowl Trough, loc. cit. [ii] Charles C. Mann, 1493, Uncovering the New World Columbus Created (Knopf Doubleday Pub. Group, 2011). [iii] I go Pogo, http://www.igopogo.com/we_have_met.html/ (November 16, 2012). 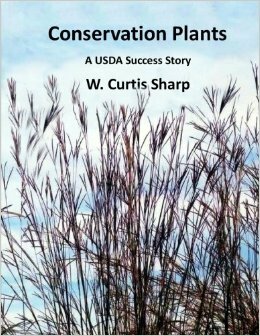 [iv] USDA-NRCS Discontinued Conservation Plant Releases, http://plant-materials.nrcs.usda.gov/releases/discontinued.html (Aug. 14, 2012). [v] The Dust Bowl and Black Sunday, http://www.altereddimensions.net/earth/DustBowlAndBlackSunday.aspx/ (December 28, 2012). Hot off the Press! Our New Book!